Sterling silver with oxidised (black) silver domes. Dome diameter 1.6cm. 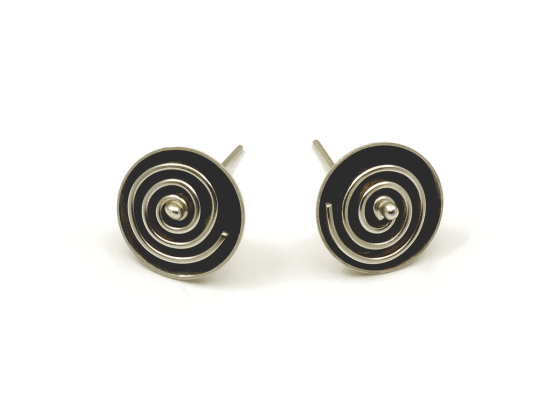 These innovative and distinctive earrings can be worn in two ways; with or without the domes. The domes are detachable, the central spirals can be worn on their own. Supplied with firm and secure ear-backs.